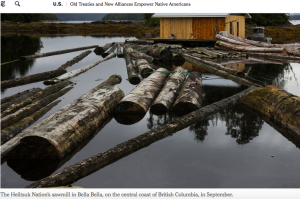 This site embodies the sacredness of water and the need to restore the balance that was lost because newcomers overlooked traditional knowledge and teachings about the importance of water, land, and the environment. 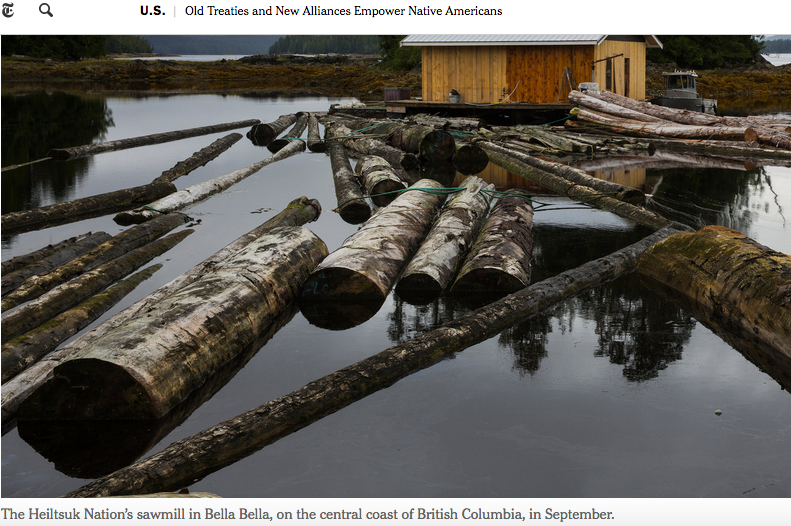 It seeks to restore “water ethics,” traditional knowledge, and knowledge keepers. 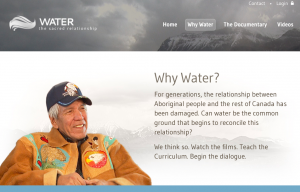 The documentary argues for returning to the Elders’ teachings that follow the importance of taking care of the environment. Respecting everything in the environment, the trees, the birds, all the animals and the water will leave a good legacy for seven generations to come. 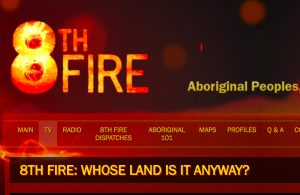 8th Fire tells the story of Aboriginal peoples; it “draws from an Anishinaabe prophecy that declares now is the time for Aboriginal peoples and the settler community to come together and build the ‘8TH Fire’ of justice and harmony.” http://www.cbc.ca/8thfire/index.html It shows the different ways that Aboriginal people are using the land to forge economic relationships to sustain their communities. There are many features in this site like an interactive map that outlines treaties and land claims in Canada. 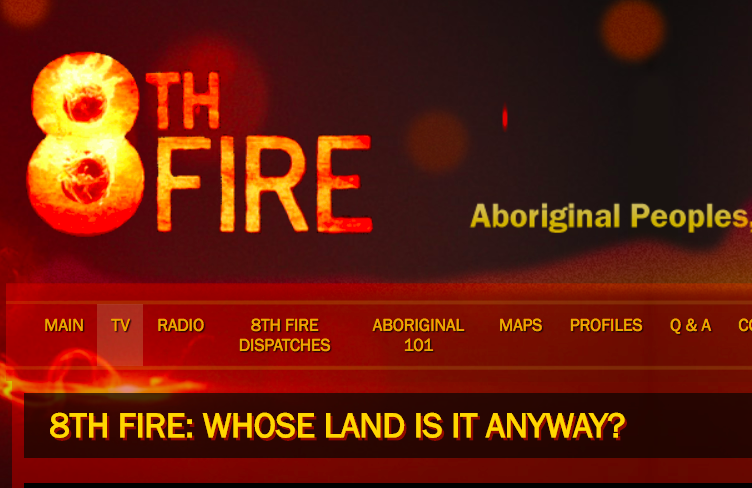 It examines the relationship between Aboriginal and non-Aboriginal peoples in Canada.There are videos like Aboriginal 101 and many others that tackle different issues around the interactions of Aboriginal and non-Aboriginal Canadians. The hyperlinks are great for finding out about Aboriginal people who are movers and shakers in their communities like Clarence Louie, Osoyoos Indian Band Chief and entrepreneur, inducted into the Aboriginal Business Hall of Fame. Shannen’s dream speaks well to the hope and resilience of First Nations youth. It is about the work of a teenage girl who was motivated to work towards the establishment of schools that provided safe and nurturing environments for Aboriginal children. She advocated for schools that would receive adequate funding so that Aboriginal children could attend school holding on their dignity and culture. Shannen died before she could her dream come to fruition, but her legacy has lived on, and the day she would have graduated from high school construction began on a new First Nation school. The long awaited First Nations school was opened at the end of August 2014. 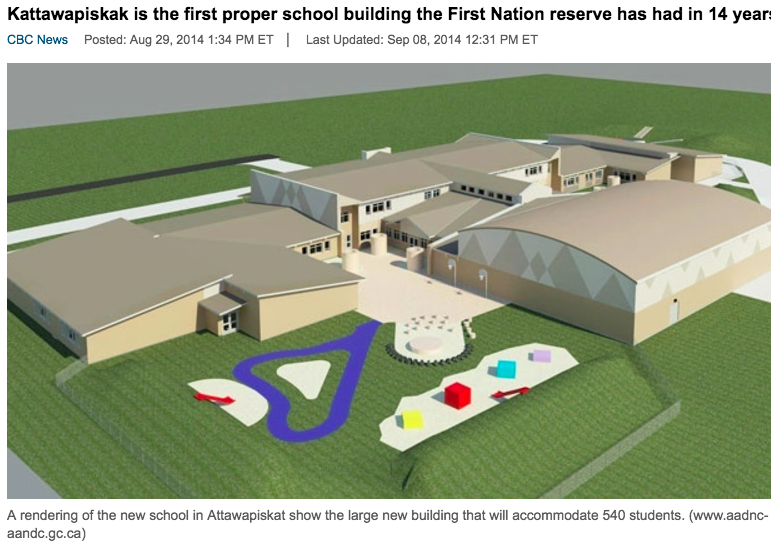 Shannen’s dream website has many useful resource and links on issues re First Nation education. We were so far away, examines residential schools from the perspectives of the Inuit peoples from the Nunavut, Nunavik, Nunatsiavut and the Inuvialuit Settlement Region. It takes a before, during and after look at the lives of the Inuit who attended residential schools. There are videos of residential school survivors talking about their experiences and links to many other resourceful websites. The pictures in the slideshow are worth a thousand words. Some of it made me think of the story of the residential school in the book Fatty legs by Christy Jordan-Fenton and Margaret Pokiak-Fenton.